The Little Theatre's christmas pantomime is back in action! A show to lift the spirit of Chennai... A tribute to her indomitable spirit…. "We will rise again! More positive, more strong.... a far better city..."
To say we are back on track and we will become stronger and better as a city.., a city that cares and supports one another ... Our cast have been on the streets doing relief and rescue work during the day and rehearsing in the evenings and keeping their spirits up to make sure Chennai gets her Annual Christmas Pantomime…..
And, we are back with much thanks to Museum Theatre for finding us these dates, SPI cinemas for cleaning out the seats, Grundfoss for pumping out the water and a well wisher for drying out the theatre as there was 4 feet of water inside and outside the Museum Theatre. From the makers of "Lord of the Bling!" "The Free Musketeers!" "Alice in iland!" "Beauty and the Beast" "Robinhood! Wanted for good!" " Romeo & Julieto in Mexico!" "Pirates of the Curried Beans" "Elves & the shoemaker!" "Cleopatra" "Alibaba and the forty thieves!" Let’s bring in this Christmas season with lights, songs, dance and action! The Little Theatre's 21st Christmas Pantomime! Yes! Christmas is coming! Spread the cheer! Hurry! Go online to buy your tickets! 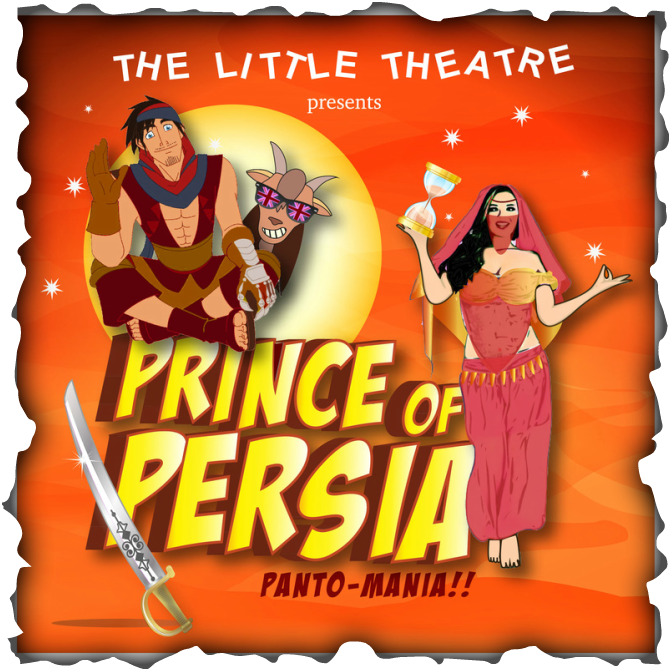 "Though it had to be resched uled, The Little Theatre has decided to go ahead with its 21st Christmas Pantomime `Prince of Persia'. Pantomania!' "The panto has become a part of the Christmas tradition in the city and we have got calls from people who had bought tickets requesting us not to cancel the show," says Aysha Rau, founder, The Little Theatre, adding that the panto would now be staged from December 18 to 22 at Museum Theatre, Egmore. Rau said that some members of the cast had also helped with the rescue and relief operations. "We have to bring a semblance of normality back into our lives. The best way is to start living again," she adds. "